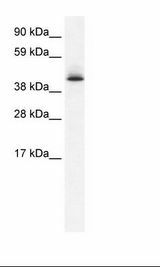 AATF antibody LS-C29956 is an unconjugated rabbit polyclonal antibody to AATF from human, dog, horse and other species. Validated for IHC and WB. 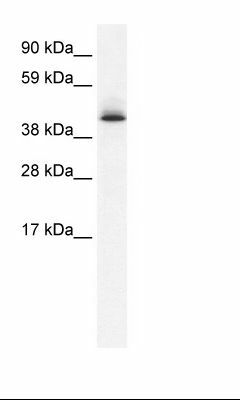 AATF antibody was raised against synthetic peptide located between aa171-220 of human AATF (Q9NY61, NP_036270). Percent identity by BLAST analysis: Human, Chimpanzee, Gorilla, Gibbon, Rabbit (100%); Monkey, Elephant (92%); Marmoset (91%); Galago (85%); Bat, Horse (84%). Immunizing peptide used to generate LS-C29956. 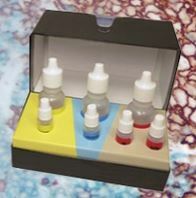 Useful for pre-absorption and neutralization of the antibody's antigen binding site. 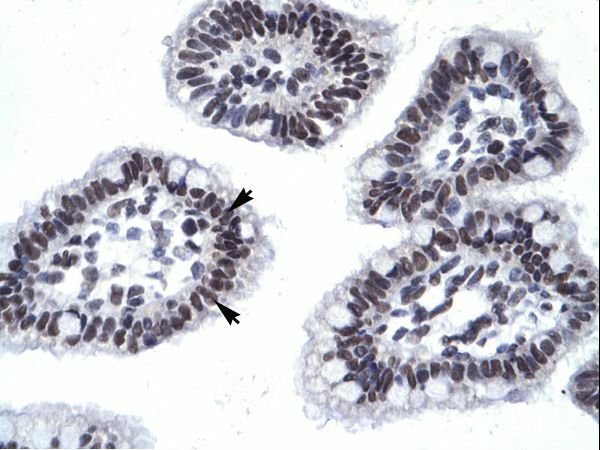 AATF antibody ARP31867_P050-NP_036270-AATF (apoptosis antagonizing transcription factor) Antibody was used in IHC to stain formalin-fixed, paraffin-embedded human intestine. This image was taken for the unconjugated form of this product. Other forms have not been tested. 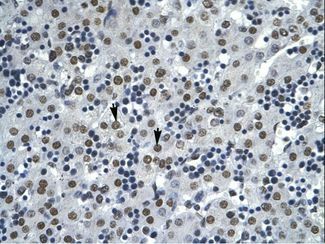 AATF antibody ARP31867_P050-NP_036270-AATF (apoptosis antagonizing transcription factor) Antibody was used in IHC to stain formalin-fixed, paraffin-embedded human liver. This image was taken for the unconjugated form of this product. Other forms have not been tested. 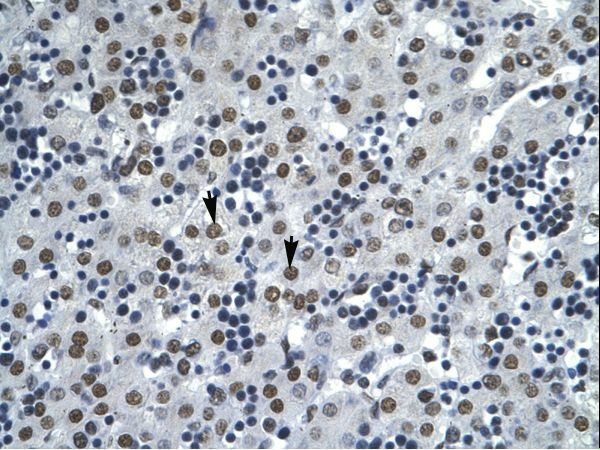 Fetal Kidney Lysate. This image was taken for the unconjugated form of this product. Other forms have not been tested.